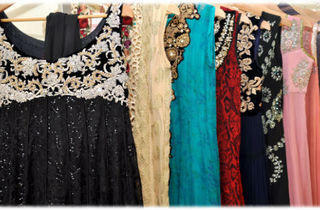 One of Haji Lane’s newest residents is the first high-end, multi-label Pakistani fashion boutique in Singapore. Founder Mahjabeen Zaman, a self- professed fashion enthusiast, made it her mission to fill this gap in Singapore’s market by abandoning a ten-year career in banking to pursue her dreams of entrepreneurship. After several reconnaissance trips to Pakistan, Sempre opened its doors in May this year, and business is booming – regulars include a good number of Pakistani women, as well as customers from China, Malaysia, Korea and the US. 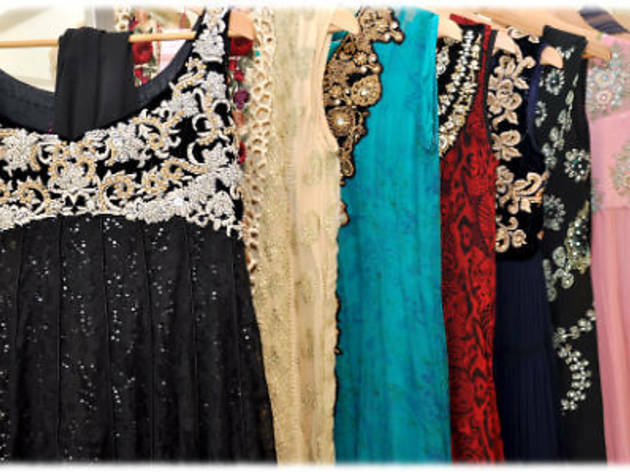 Currently, Sempre stocks about ten designer brands, including Mina Hasan, Nomi Ansari and Sania Maskatiya, with a myriad of styles that will appeal to a wide range of shoppers. From traditional embroideries to contemporary pieces featuring images of Marilyn Monroe and Audrey Hepburn, Mahjabeen has every base covered. And when she says her pieces are exclusive, she means it – she only stocks one piece of each individual style. The reason behind this decision echoes Mahjabeen’s choice to set up shop on Haji: you won’t see anything else like this, anywhere. However, if you find yourself falling in love with a gorgeous item that’s already been snapped up, fret not – orders can be taken for specific pieces, with a delivery time of two to three weeks. Likewise, customisations are occasionally accommodated, should you wish for an item in a different colour, or even with a different neckline. As many of Sempre’s customers are Arab women, the outfits can also be tailored towards the conservative side; for example, extra material is available to add sleeves if necessary. Basically, if it can be physically done (and if the designers grant permission for it), Mahjabeen is up for any request or challenge. And with new pieces arriving every week plus her own self-designed label in the works (also called Sempre), this little store is pretty big on surprises.